02.27.11 Game in 90 tournaments continue in Aroostook County as part of the Presque Isle/Houlton Tournament Series. Players compete in up to four games over the course of two days in two different Maine cities. Roger Morin won the event with a perfect score of 4.0 points in four games. Tom Taylor and Lance Beloungie tied for second scoring 2.5 points apiece. 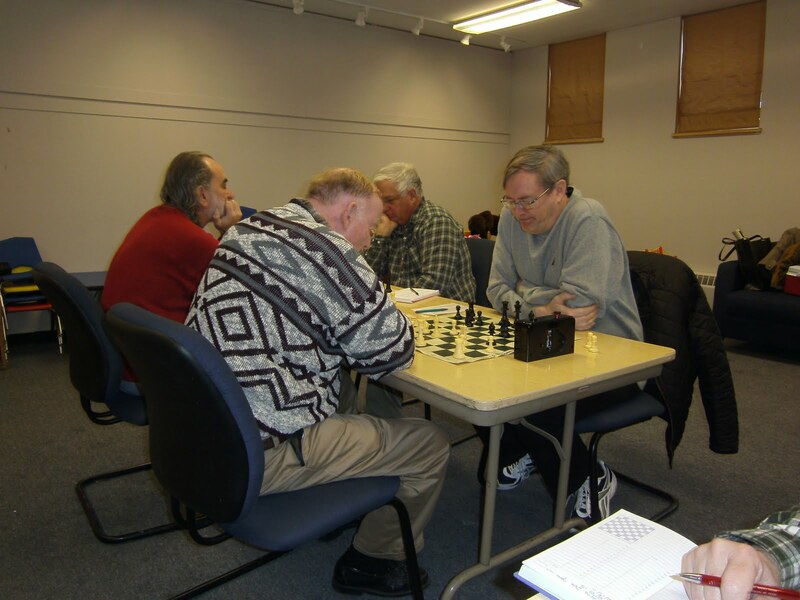 The 3rd Presque Isle/Houlton Open was played on February 19-20, 2011 attracting eight players with an average rating of USCF 1743. Following the tournament winner Roger Morin were Tom Taylor (a resident of Illinios who is in the process of playing a USCF-rated tournament in each of the fifty states--forty-six down with South Carolina, Delaware, Idaho and Alaska remaining) and Lance Beloungie with 2.5 points, Rob Shore and Roger Hardison with 1.5 points, Ray Haines with 1.0 point and Richard Fontinha and Glenn Snyder with 0.5 points. Thanks to Turner Memorial Library in Presque Isle for the free playing space and to Diana Leighton for her contributions. 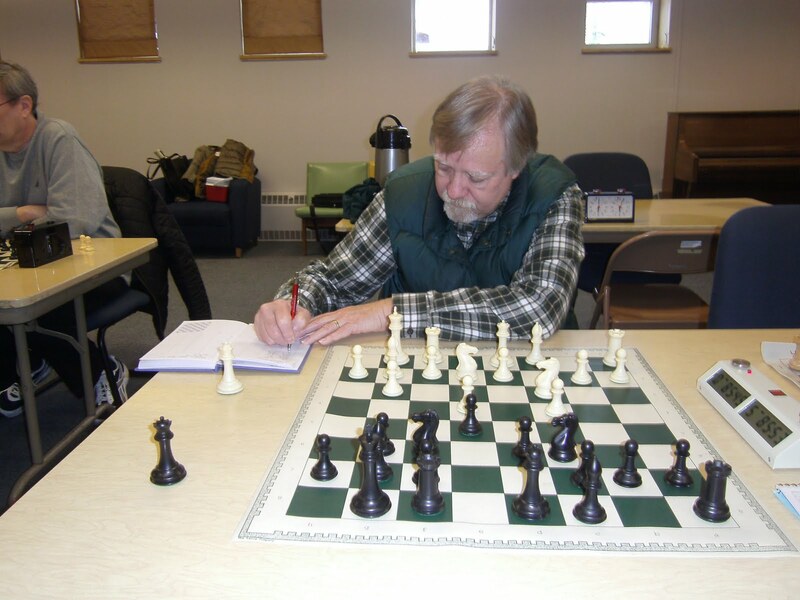 Joe Fishman of Wallagrass (10 miles south of Fort Kent on Route 11) won the four-player U1200 section with a perfect score of 4.0 points earning him a first rating of USCF 1484 making him 62nd in Maine's top 100 list. Trailing Fishman were Craig Fournier, David Ngo and Lois Morin. 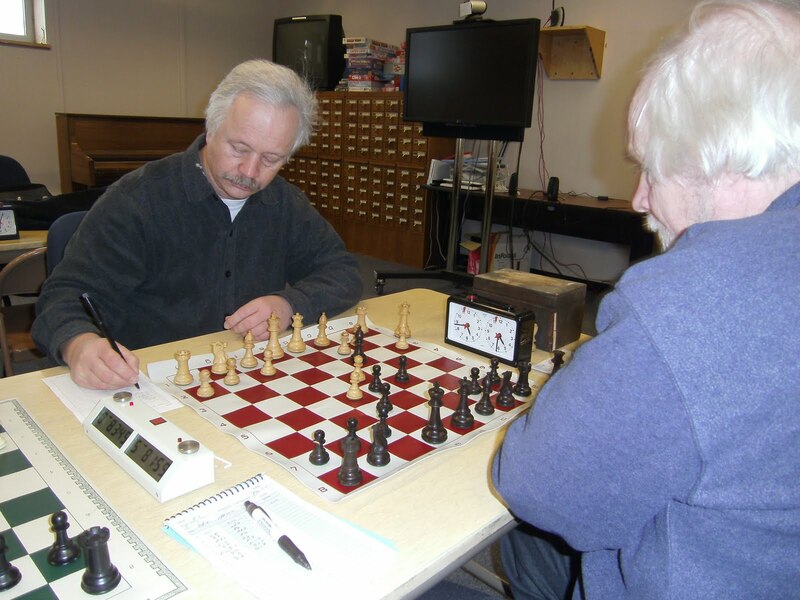 Here's the first round game between Rob Shore playing the white pieces and Roger Morin. 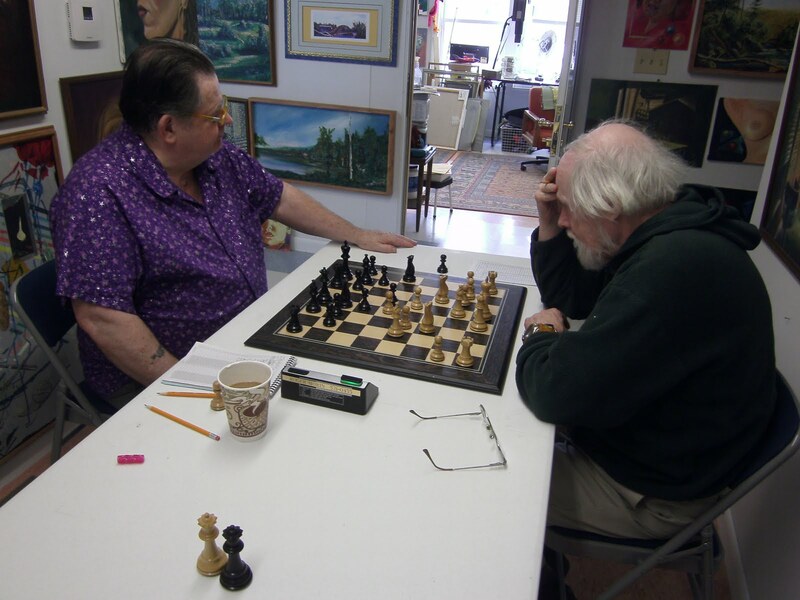 Ray Haines (left) jots a move down in his game vs Lance Beloungie. Glenn Snyder (forground left) plays Tom Taylor and Richard Fontinha (background left) plays Roger Hardison.